The Eagles will be back on the road next year for their first tour since the death of guitarist/vocalist/co-founder Glenn Frey in 2016. Frey’s death at first seemed to be the end of the band, but they eventually moved forward with his son Deacon playing in his place. The band played shows with Deacon in July, and he’ll be on board in 2018 as they head out on tour across North America. Also playing with the band will be Vince Gill, who came on board when they played their shows earlier this year. The band will be joined by some all-star guests on the tour, including Jimmy Buffett and James Taylor. Without further ado, here are the dates that have been announced so far. Tickets go on sale December 1. 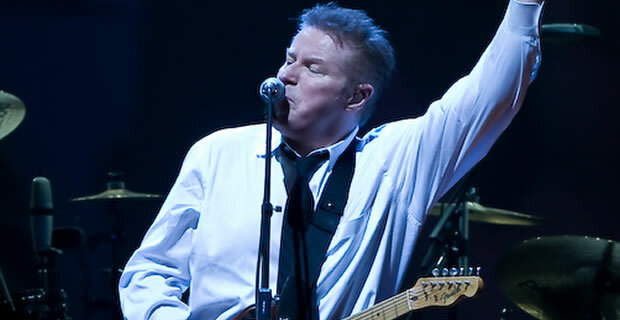 Check out the Eagles’ official website for more tour information.